Technology is no integral to everyday life, therefore brands must follow this evolution in order to stay current in order to maintain a positive and exciting shopping experience. Augmented Reality is a view of the physical world whose elements are augmented by computer generated inputs, enhancing your current perception of reality. 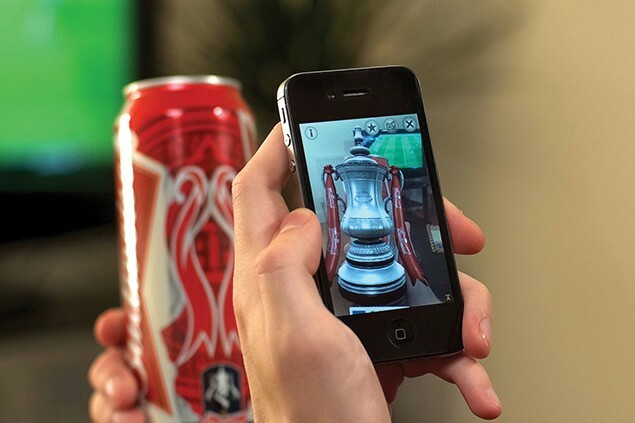 Augmented reality apps allow shoppers to view their potential purchases supplanted in real life environments. In collaboration with Sephora, Modiface have produced a slick augmented reality mirror giving consumers the opportunity to try out different make up products and colours without even putting it on your face. It allows movement to see the makeup from different angles and virtually try out the products instantaneously. Emotion Scanning on customers faces analyses their mood at the time of purchase, helping to create custom campaigns and promotions to individual shoppers as well as evaluating the retail experience they provide. There are various ways of detecting emotion through simple self-feedback devices, face recognition analysis or touch. Mood Scanner is an app that can detect a person’s mood through the touch of their thumb. This provides feedback where it cannot be manipulated by the person’s choice. App Integration helps to reach the consumer in a different way. Beacons are devices that can be used to send personalized offers and recommendations to individual’s phones based on the user and location via Bluetooth. Apps and interactive screens can help users find product information, check availability and reserve easily and quickly, providing a more successful and engaging shopping experience. Ted Baker have trialled beacons concealed in their mannequins to communicate further information about their clothes and accessories in store to their phones via Bluetooth. As well as gaining further information on the products, the user can receive the latest offers and rewards, they can save items for later and share products with their friends. Social Media is an important component of a brand’s identity. To advertise, share and campaign, it is the most efficient way to spread the word. Online competitions, live feeds and hashtags are just some of the ways a brand can communicate to its consumers and the consumers can communicate back. It allows pictures, videos, reviews and comments to be shared therefore having a social hub is key to a brands success. London Fashion Week is a key example of how live streaming is used to communicate new season collections to everyone, making the event highly accessible and opening it up to more potential customers with the hashtag #LFW. Digital Interaction is the leader of modern experience design. Customers can engage with the brands in new ways whether it be physical interaction or virtual, they can be more selective and the shopping experience is made simpler. This can be achieved through an integration of the website and store, allowing the user to view more product information and recommendations. Additionally digital showrooms can display various products, colours and styles, and virtual online shopping lets the user browse the products in the store from the comfort of their sofa. Karen Millen’s online virtual flagship is a great example of how digital interaction is a key technology trend. Shoppers can sit at home and walk through the flagship store on the website, letting them browse different products, find out more details and save, share and buy them. It gives a physical experience through a digital format. An Immersive Experience allows the shopper to become fully immersed in their surroundings which may be manipulated by digital media and special effects. Immersive design takes the shopper out of the environment they are in and focuses them in a new virtual world. This can make use of storytelling and brand direction. 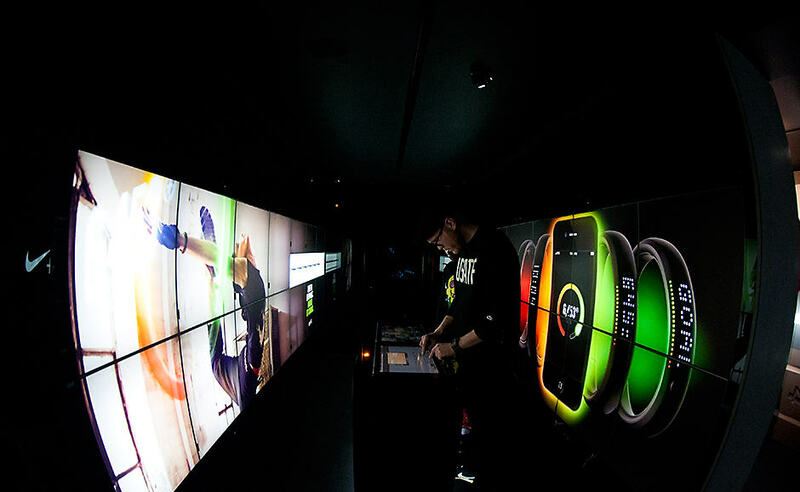 Box Park’s Nike Fuel station is wired with the latest innovative and augmented technologies to make the shopper fully immersed in a digital world. It uses interactive and virtual tools to engage the consumer giving them a full experience of the products before they have even purchased them, creating a mesmerizing shopping experience. The need for speed has increased therefore Instantaneous Transactions are more relevant than ever. Purchasing can be made through contactless cards and phone applications, fingerprint recognition and face recognition technology. Biometric purchasing face recognition is where the face can be detected to make payments eliminating the need for cards and other payment devices. Uniqul is the world’s first face recognition payment system. Scented Design is where a synonymous scent is added to their retail project as the sense of smell has a strong association with memory. The scent is distributed throughout the store sustaining the association. Guess have used the company Moodmedia to engineer a retailer signature fragrance to be used in the store. By dispersing the scent evenly around the store it is introduced to its customers at point of sale, creating a lasting impression of the products they wish to purchase and the brand. To differentiate a store from others, the conventional store needs to be transformed into an engaging atmosphere, this can be achieved through Disruptive Architecture. An intelligent use of design and architecture can shape and change the physical retail experience to get an individual response from the consumer, enhancing the overall shopping experience. 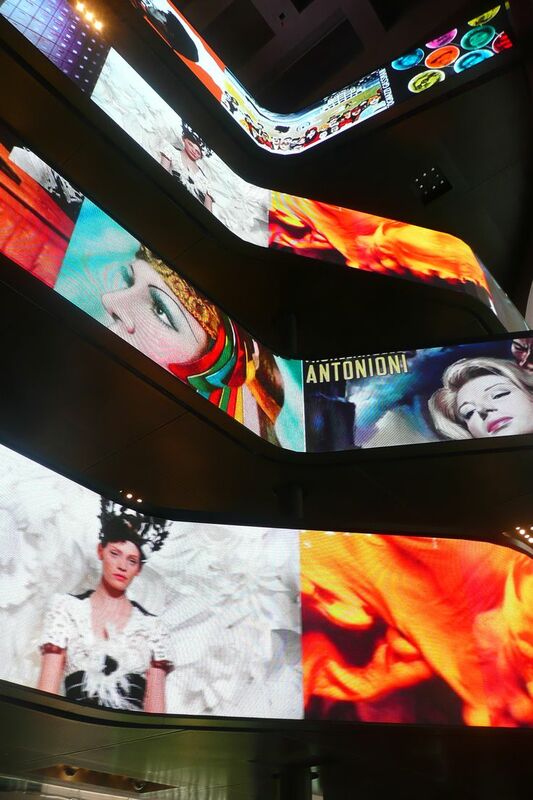 Oakley’s 5th Avenue store in New York has an installation of 27 LCD screens on the ceiling to respond to their ‘Disruptive by Design’ brand direction. This brings new perspective as you are viewing their media on a different level making it a more memorable and intriguing experience. Aurasma is an app that scans images from magazines and brings them to life, giving users exclusive access to additional information, feature film clips. It gives images, objects and places its own aura changing the way we interact with the world. World-renowned men’s general-interest magazine GQ is offering an array of augmented reality content in its coveted December “Men of the Year” issue. After downloading GQ Live on a smartphone or tablet, readers can simply point their viewfinder at the printed magazine to watch the pages come to life with rich interactive content.